St. Patrick's Day is only a week away! 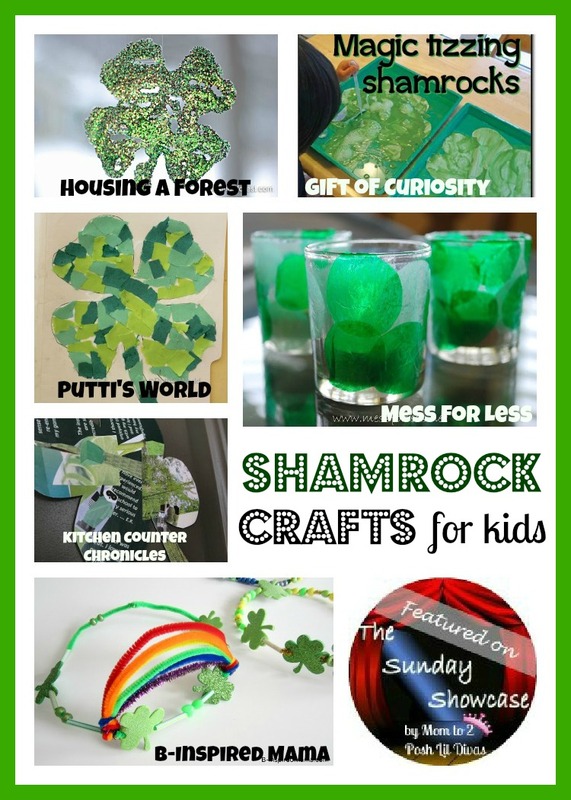 Whether you are Irish or merely Irish at heart (even if just for the day) I have featured some fabulous and easy Shamrock Crafts for Kids this week that are sure to thrill the children in your life. 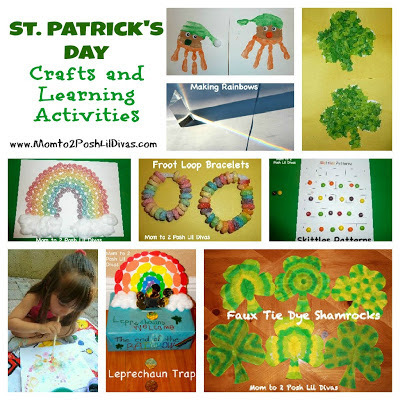 If you're looking for even more St. Patrick's Day inspiration check out our St. Patrick's Day posts and St. Patrick's Day Pinterest Board. Do you have a favorite St. Patrick's Day or Shamrock activity? What great crafts for St. Paddy's Day! 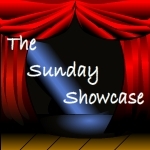 Thanks for hosting The Sunday Showcase! Thanks for hosting the Sunday Showcase. Thank you so much for featuring our St Patrick's Day votives!